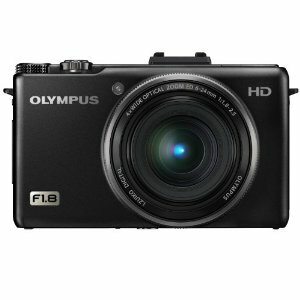 With Olympus XZ-1, a New Flagship Compact Digital Camera. 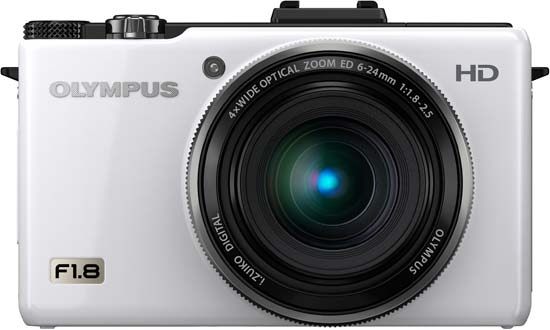 Olympus Corporation (President: Michael Woodford) is pleased to announce that, for the second year in a row, the OLYMPUS XZ-1 compact digital camera from Olympus Group has won the prestigious Red Dot Design award. The award is given to designs in production for no more than two years, and judges those designs across nine categories, including degree of innovation, functionality, ergonomics, ecological compatibility, and durability. The “red dot” that is the mark of this award means that, whether in business or design, the product has been recognized as the best of the best. 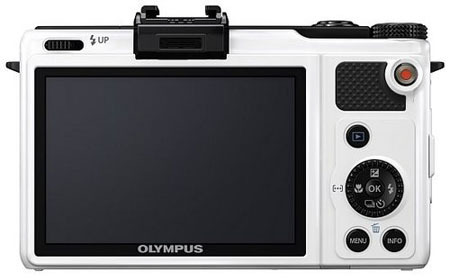 The OLYMPUS XZ-1 is the first compact digital camera to incorporate a ZUIKO-brand lens. Beginning with its use in Olympus’s first camera, the Semi-Olympus I of 1936, the ZUIKO lens has, for 75 years, continued to carry on the Olympus tradition of high-performance lenses. However, not everyone who wants the high picture quality of an SLR is prepared to deal with changing lenses. Other users want a camera with high picture quality and lower size and weight than an SLR as a sub-camera for their SLR cameras, but don’t need it to be of the interchangeable lens type. For these people, Olympus has developed a compact camera that, unlike the PEN series, offers a fixed zoom lens and near-SLR picture quality. The wide-angle 4X zoom lens (equivalent to 28 to 112mm on a 35mm camera) is very bright, with an open f-value of 1.8, while in the telescopic position, excellent brightness is achieved with an aperture of 2.5. This new flagship compact camera offers sharp imaging performance from the center to the periphery, in both wide-angle and telescopic modes. “Your Vision, Our Future” is the corporate slogan of the Olympus Group. Our design vision is “creating the future by realizing dreams”, and our design philosophy is “products that make people happy”. We believe that by consistently producing products with good design, we can send out the same message throughout the world and establish our brand identity.